CARLSBAD, CALIFORNIA — On November 12, 2011 while deployed in Afghanistan, U.S. Army Captain Nick Vogt and his team were investigating a newly discovered weapons cache when Vogt stepped on an improvised explosive device (IED). 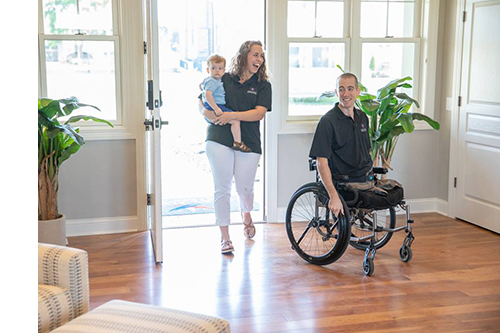 Six years later, after two leg amputations, during which he met his future wife — a nurse at Walter Reed National Military Medical Center — Vogt was selected to receive a 100% mortgage-free, brand new custom smart home from the Gary Sinise Foundation’s R.I.S.E. program (Restoring Independence, Supporting Empowerment) featuring ELAN technology. Some daily tasks, such as checking the surveillance system, locking doors, playing music or turning off lights can be prohibitively difficult for limited-mobility homeowners like Vogt. 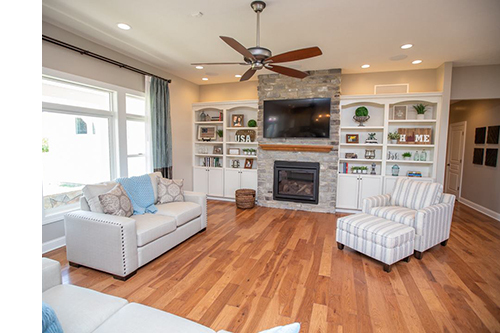 Thanks to Xtend Technologies, the home’s ELAN system integrates all of the Lutron lighting and ceiling fans, three Schlage electronic door locks, multi-room audio and video distribution, and a security and surveillance system with five ELAN cameras. “Designing these homes is all about maximizing utility and access for the injured veteran,” Fabrick added. “In this home, we included three video zones, in the master bedroom, great room and outdoor patio, which each have their audio zone as well. With this design, Vogt and his family can use a variety of devices to control any TV or any room’s audio, even when they are in different rooms. The home’s technology relies on a ELAN gSC10 and ELAN g1 to connect all the sub-systems, allowing consolidated control through the ELAN mobile app. They can also control the system through two seven-inch ELAN wall-mounted touchpanels, two ELAN remotes, and a tabletop iPad kept in a LaunchPort dock. The home’s video uses ELAN 4K over IP for distribution, while an ELAN S86A distributes six zones of audio. Five ELAN dome cameras provide exterior surveillance, which is recorded to the 2 terabyte ELAN EL-NVR-2TB rack-mount hard drive. 15 SpeakerCraft AIM285 in-ceiling speakers deliver exceptional audio thought the home, and a Panamax M4315-Pro power conditioner keeps the electronics in the system rack safe and in top working order 24/7. The home’s great room features a media center with a 5.1 SpeakerCraft surround sound system, including a Profile Cinema Sub in-wall subwoofer. According to Judith Otter, Chief Operating Officer of the Gary Sinise Foundation, the Vogt family’s new home was carefully designed to provide the most useful layout and technologies available. “Working with our valued partners, we’ve provided Vogt with a fully navigable home and empowering technologies to help him regain his daily independence,” she said. The Gary Sinise Foundation honors America's defenders, veterans, first responders, their families and those in need. Through its R.I.S.E. program (Restoring Independence Supporting Empowerment), specially adapted smart homes are being constructed for severely wounded veterans and first responders nationwide. 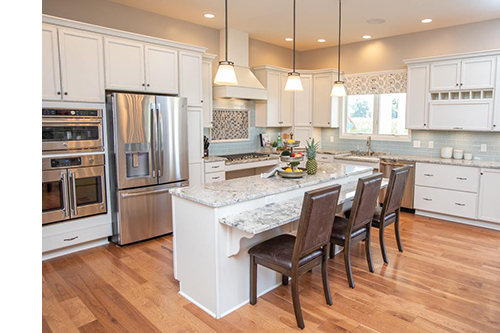 Each one-of-a-kind home is customized to ease the everyday burdens of a wounded hero, their family, and caregivers. Other programs include Relief & Resiliency Outreach, Invincible Spirit Festivals, Gary Sinise & the Lt. Dan Band, Arts & Entertainment Outreach, Serving Heroes, First Responders Outreach, and Soaring Valor. Its latest program, Snowball Express, serves the children of our fallen military heroes, surviving spouses, and Gold Star families. To donate or learn more, please visit GarySiniseFoundation.org. ELAN®, from Nortek Security & Control, develops an award-winning line of whole-house entertainment and control solutions distributed through a comprehensive channel of select dealers throughout the United States, Canada, and countries worldwide. The ELAN 8 update was honored with the “2017 Human Interface Product of the Year” award and continues to expand its intuitive functionality with security, climate, surveillance and video distribution products and integrations. Nortek Security & Control LLC (NSC) is a global leader in smart connected devices and systems for residential, security, access control, and digital health markets. NSC and its partners have deployed more than 4 million connected systems and over 25 million security and home control sensors and peripherals. Through its family of brands including 2GIG®, ELAN®, Linear®, IntelliVision®, GoControl®, Mighty Mule® and Numera®, NSC designs solutions for national telecoms, big box retailers, OEM partners, service providers, security dealers, technology integrators and consumers. Headquartered in Carlsbad, California, NSC has over 50 years of innovation and is dedicated to addressing the lifestyle and business needs of millions of customers every day. For further information, visit nortekcontrol.com.